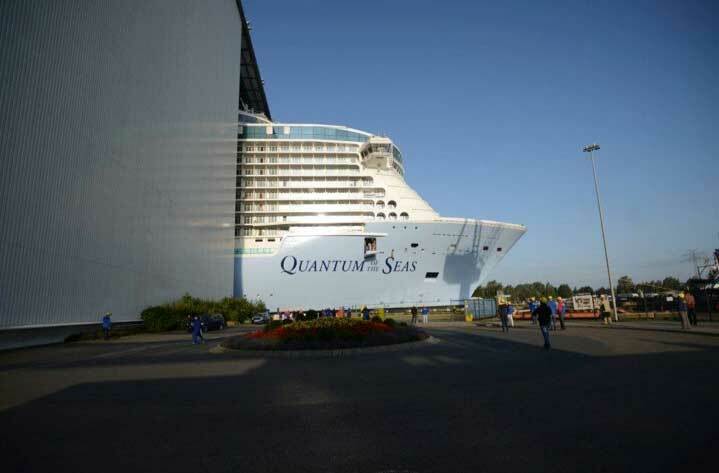 Royal Caribbean has released some new photos from the Quantum of the Seas float out on August 13th. 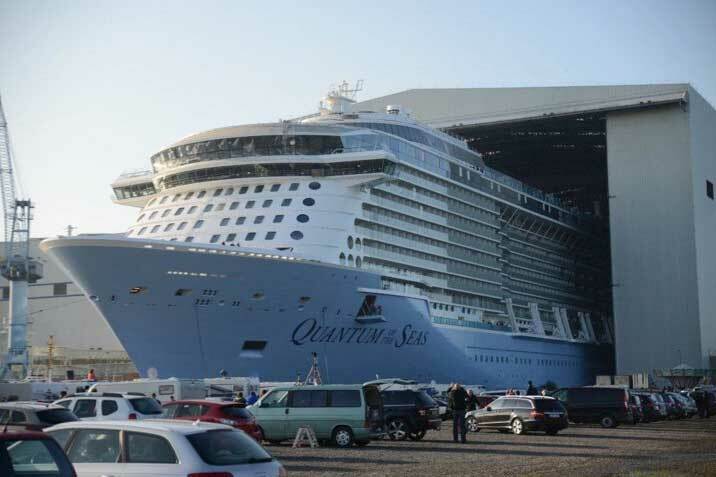 The float out was delayed by days but was worth the wait so locals and cruise enthusiasts could enjoy the sight of one of the most innovative ships in the world. 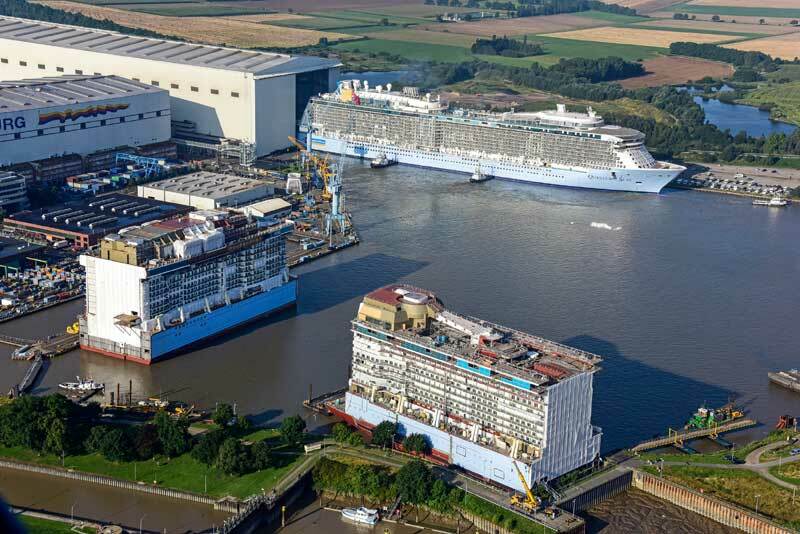 Below is a collection of photos and images of the upcoming vessel including a new rendering showing the inside spaces which passengers will get to enjoy once it’s completed by the Meyer Werft shipyard by November 2015. 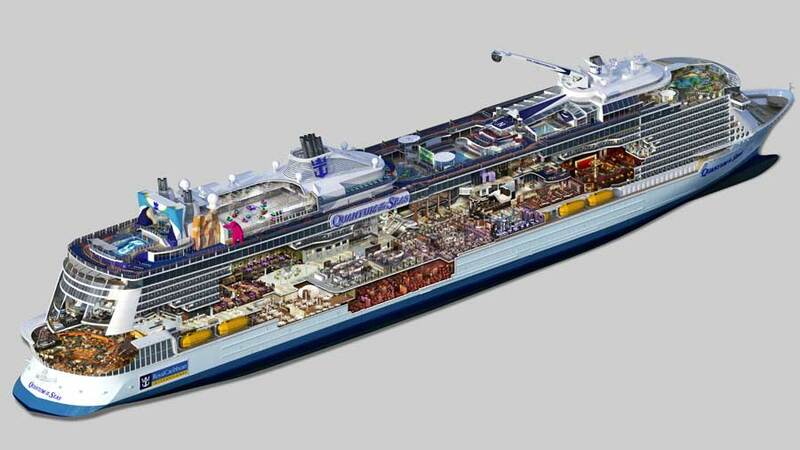 3D rendering of spaces inside the ship. 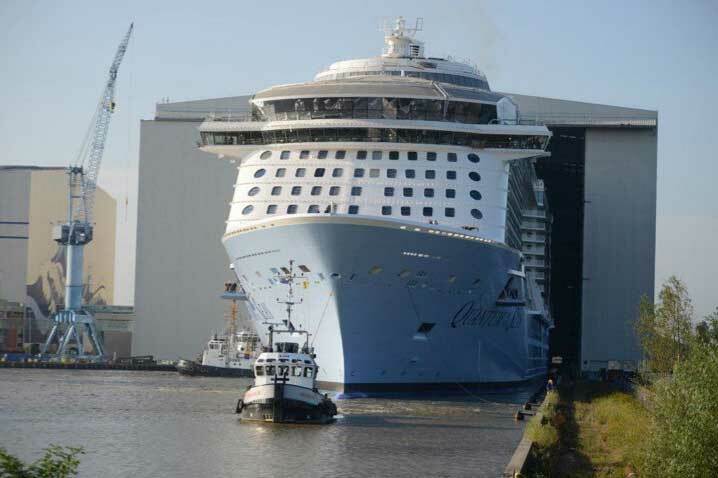 At the moment the 167,800 ton ship is berthed next to the shipyard complex ready to makes it way through the Ems River. 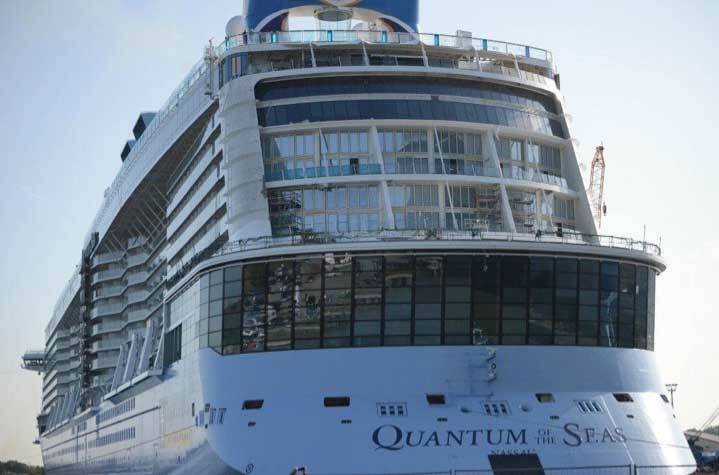 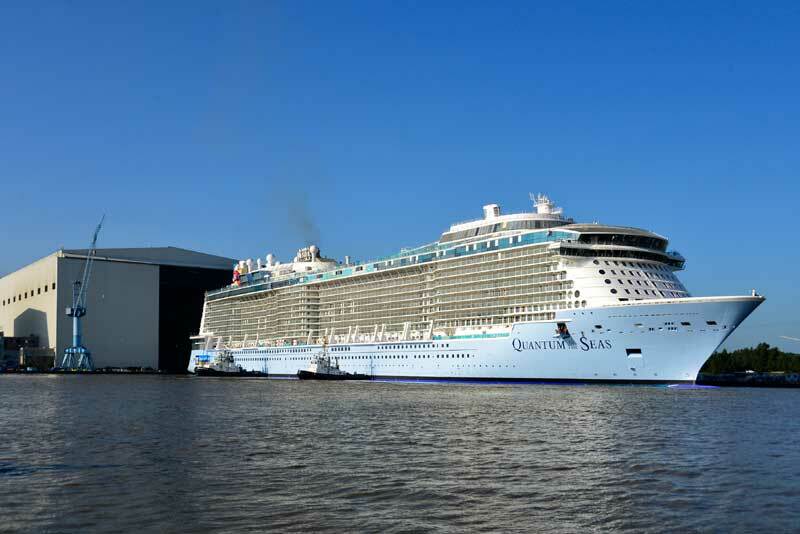 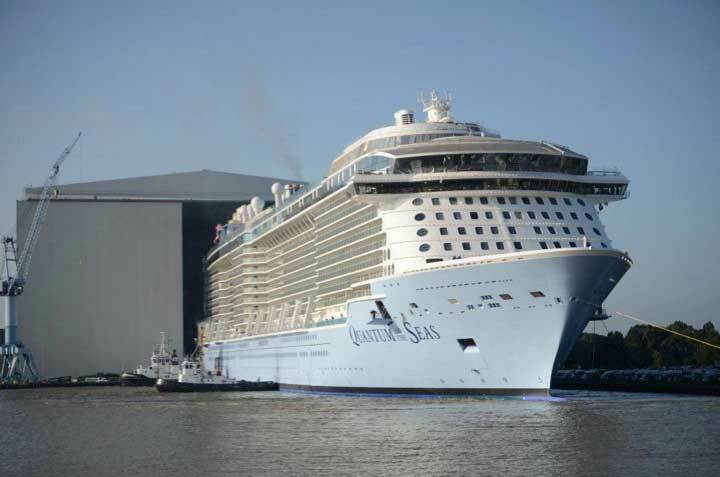 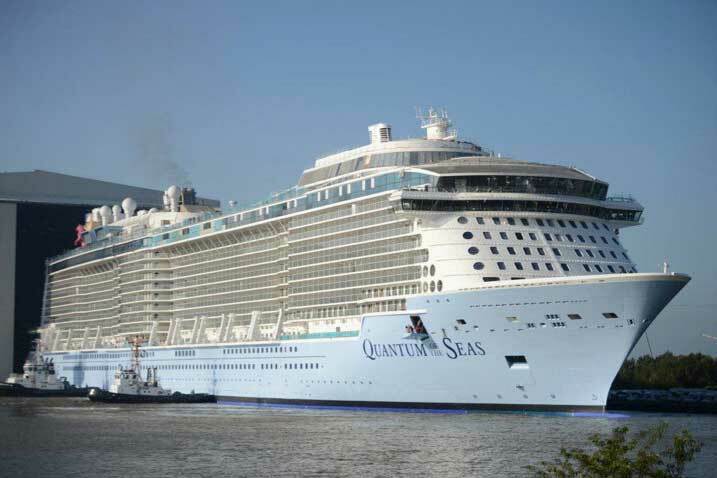 Quantum of the Seas will then commence sea trials including propulsion systems. 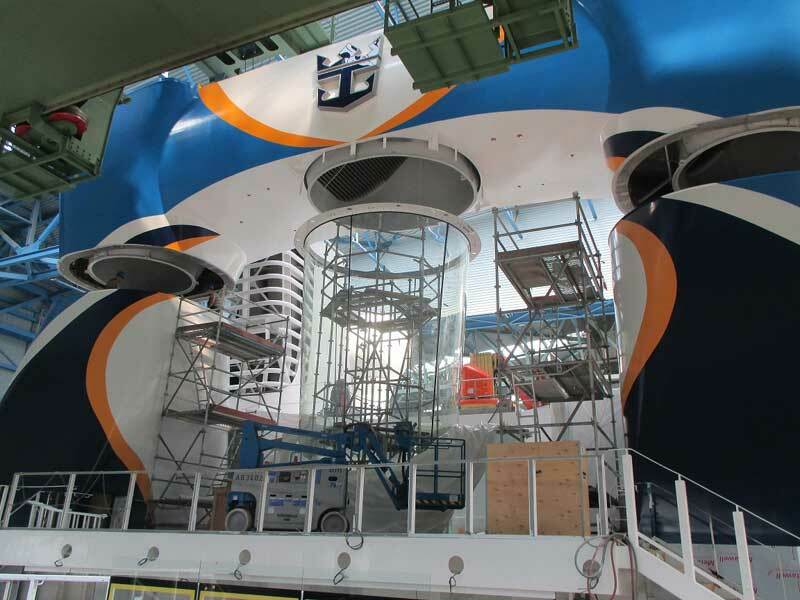 The final phase of the completion will then begin with all the inside spaces starting to look like all the renderings which we’ve all seen so many times.